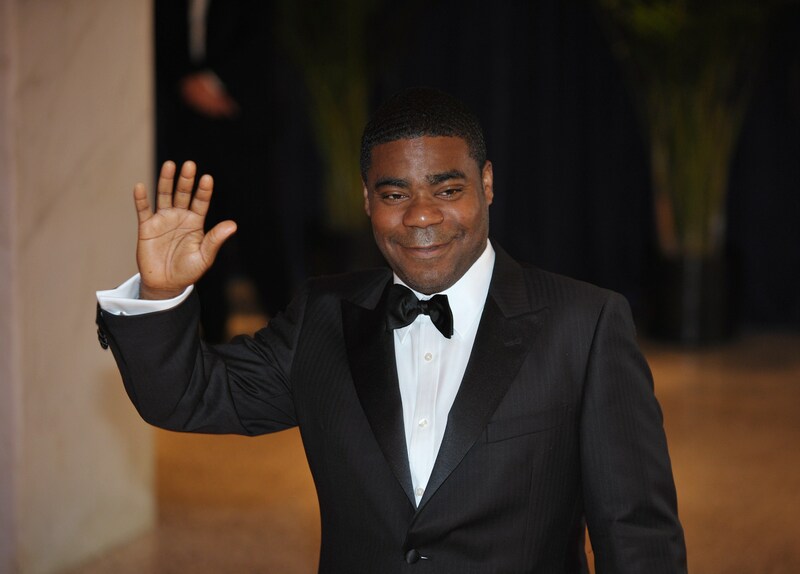 It's been a long few months for Tracy Morgan, who is still on the road to recovery. In June, he was involved in a deadly accident when a Walmart truck crashed into Morgan's limo, killing one person and badly injuring Morgan. But despite all the setbacks he's experienced, Morgan is working hard to get back to 100 percent: The comedian was spotted Wednesday walking with the use of a cane on his way to a rehab appointment, and seemed to be doing much better. He hasn't been seen out and about much since the crash that broke his leg, femur, nose, ribs, and left him with severe head trauma. But, little by little, he is improving. He still has a long road ahead of him, but Morgan has a lot to inspire him to get there. Namely, that he can't wait to get back into comedy. Prior to this accident, Morgan was slated to have his own FX show. While that project has been put on hold for now, back in June the network said they will keep the show on hiatus until his recovery. Tina Fey has also promised Morgan a job on Unbreakable Kimmy Schmidt when he's up for rejoining the industry — and right now, that's Morgan's biggest goal. "If Tracy could be out, acting and doing what he loves, he would be—100 percent," a source told Us Weekly. "But sadly, he just can't yet." The insider also opened up about the Saturday Night Live 40th anniversary special, and how much it meant to Morgan to receive a tribute from his 30 Rock co-stars Tina Fey and Alec Baldwin. The pair saluted Morgan during the broadcast on Feb. 15. "I wish my friend Tracy Morgan was here tonight, and I know that he was hoping he would be well enough to be here too," Fey said at the time. "If he were here tonight, I'm sure Tracy would remind us that more than anything, he'd like to get us all pregnant." Alec Baldwin chimed in to say, "See you at the 41st, Tracy!" The Us Weekly source said that Morgan was sad he was unable to attend, but grateful for the support. "He gets very emotional when he sees Tina and others mentioning him. He really wants to be back in the game." Hopefully as he continues his recovery, Morgan will be able to get back to acting soon. The comedy world needs his talent, and I wish him all the best as he strives to return to the Tracy Morgan we know and love.